Compared to consumer PR, B2B public relations is more highly targeted, and usually more limited when it comes to the range of tactics that are truly effective. One nearly surefire tactic for building thought leadership, creating quality content, and earning trade media coverage is a small group discussion event we call the business thought leadership panel. Once the preserve of think tanks and academia, panel discussions that tap “thought capital” are both highly individualized and reliably replicable for PR. The panels offer a way to showcase a company’s thinking on a hot-button issue and involve other leaders in a way that advances the industry conversation. Topics can range from sustainable businesses to the future of driverless cars. The elements of a successful panel include the obvious — a worthy subject, compelling participants, and a plan for capturing the terrific content produced for post-event white papers, bylines, videos, and other communications. But no matter what the topic, there are ground rules for making a panel discussion a success for all involved. Read on for the key ways to customize a discussion event for your B2B brand. Pick an outstanding topic and a title that tells a story. The number of potential panel topics to consider is endless. The key is identifying which topics are either evergreen/continuously interesting, or particularly hot at a given point in time. The best panel topics are a little bit of both — while staying relevant to the business hosting the discussion. For example, a recent panel we produced for media tech business Arkadium focused on how publishers are innovating the creation and delivery of content given the growth of Facebook and other digital channels like Snapchat. The talk was titled “How Digital Publishers are Innovating the Newsroom” and it pulled together major players in digital publishing from outlets like Gannett, Quartz and Vice. In a packed room, this impressive group offered up great talking points that the team is successfully converting to content, positioning Arkadium at the center of the newsroom innovation conversation. Secure a top-notch moderator. It’s been said that a panel moderator’s job is “to help the audience get their needs met.” That may be so, but the first task of a moderator is to act as a lure for quality panelists. Job one is therefore to attract a great moderator – ideally a high-level journalist who covers the proposed topic of discussion, or an appropriate B2B industry influencer. Seek out a journalist or influencer who is also a great speaker, someone who can drive discussion, pivot when necessary and keep the audience engaged. A good moderator takes charge of the panel at the outset, introducing the participants and directing questions at each to make sure participation is fair and equitable. No one appreciates a showboater. Finally, when developing a short list for moderators, keep in mind that your selection gives your panel credibility and helps you up participation, attendance and coverage. Drive panelist participation. A “name” moderator will help attract top panelists with an invitation that clearly spells out why they’re being asked, the manageable time commitment and the value of the discussion. The best results come when a couple of planning calls are involved to prepare the group, but it need not be over-scripted, so the time involved by each participant is usually only three to four hours. It’s also wise to make sure there is diversity among the discussion group for the most robust possible discussion. Put time and resources into attendance. Regarding that “packed room,” keep in mind that people attend panels for the discussion. If you’re hosting something separate from a large event like a trade show that affords a captive audience, and are not focusing on turnout, it probably won’t be well attended. Healthy panel attendance requires a lot of elbow grease. It’s best to leverage existing prospect and customer lists, while also relying on third-party tools and services like Lead411, LeadID and others to build targeted lists from scratch. Additionally, we recommend supporting core email invitations with relevant event listing websites like Eventbrite, Meetup, and Lanyrd. 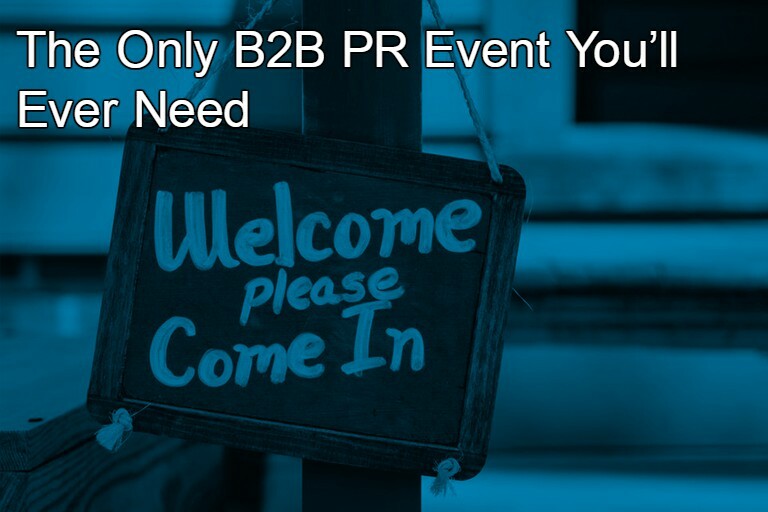 There is no exact formula, but as every good PR person knows, at least 50-60% of RSVPs will be no-shows. An open bar and good food are a must. For any successful event, good food and an open bar are staples, and lofty discussions are no different. Events need to be experiences, and providing top-notch hospitality can mean the difference in a crowded and competitive event marketplace. Pick a location with some cachet and keep the format in mind when planning catering. A small event can succeed with a few food stations, but passed platters before and after can be a nice touch, if budget permits. Avoid a sales pitch. Hosted panels are generally thought leadership and branding opportunities. They are higher-funnel strategies, not mid or lower level sales opportunities. Attendees are generally potential customers or non-customers, not qualified like those brought in by a sales team. So, best practices dictate that the event not be treated as a hard sell. Keep a soft touch and avoid over-branding. The panel is an opportunity to gently promote your business and brand, not hold people hostage with a 10-minute product overview. Quality panelists and moderators won’t go near a perceived third-party sales pitch. Follow up quickly and appropriately. While everyone involved is still pumped from the successful event, send thank yous and elicit constructive feedback from panelists, moderator and attendees. Where appropriate, determine who is planning to write a story and offer up more information. The most powerful outcomes can come from packaging the content from the talk. You’ll want to involve the panelists to confirm quotes and keep them apprised of your plans for white papers, videos and bylines. A well thought-out panel can produce content for months, “rewarding” participants with coverage that adds to their professional resume and your reputation. 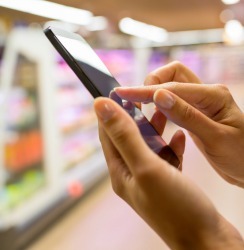 Have a tight plan for merchandising results. Taking a cue from the company’s PR objectives, most plan to use the panel discussion’s content for leadership positioning. Tactically, this means slicing and dicing the content – written, video, still images – and packaging it in different forms for different audiences. We sometimes start with a white paper delivered to prospective customers and journalists, then use segments from the white paper to craft vertical-specific byline articles and story pitches. For example, we wrote a paper for a medical device client on non-drug solutions to the opioid crisis in workers comp cases. From that, we were able to derive articles appealing to prescribing physicians, the insurance industry and company HR departments. Visuals are also key; packaging short video and photo stories for social media platforms like Snapchat and YouTube can work well. There’s no shortage of ways to extend the life of a successful panel discussion.